Earlier today, reports surfaced on The Intercept and Forbes claiming Apple "secretly" syncs Phone and FaceTime call history logs on iCloud, complete with phone numbers, dates and times, and duration. The info comes from Russian software firm Elcomsoft, which said the call history logs are stored for up to four months. Likewise, on iOS 10, Elcomsoft said incoming missed calls that are made through third-party VoIP apps using Apple's CallKit framework, such as Skype, WhatsApp, and Viber, also get synced to iCloud. The call logs have been collected since at least iOS 8.2, released in March 2015, so long as a user has iCloud enabled. Elcomsoft said the call logs are automatically synced, even if backups are turned off, with no way to opt out beyond disabling iCloud entirely. “You can only disable uploading/syncing notes, contacts, calendars and web history, but the calls are always there,” said Vladimir Katalov, CEO of Elcomsoft. 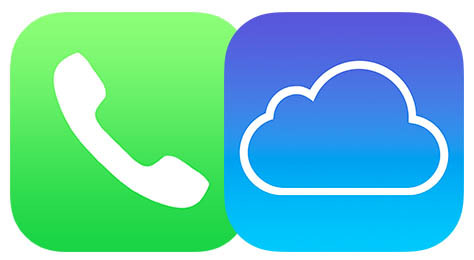 "One way call logs will disappear from the cloud, is if a user deletes a particular call record from the log on their device; then it will also get deleted from their iCloud account during the next automatic synchronization. Given that Apple possesses the encryption keys to unlock an iCloud account for now, U.S. law enforcement agencies can obtain direct access to the logs with a court order. Worse, The Intercept claims the information could be exposed to hackers and anyone else who might be able to obtain a user's iCloud credentials. In some cases, hackers could access an iCloud account even without account credentials, such as by using Elcomsoft's Phone Breaker software. The tool is being updated today with the ability to extract call histories from iCloud with only an authentication token for an account from the accountholder's computer. However, the entire narrative is largely overblown. In a 63-page white paper about iOS security, Apple clearly defines which information it collects for iCloud backups, emphasis our own. Likewise, in its Legal Process Guidelines, Apple notes FaceTime call invitation logs can be stored for up to 30 days. Further, in a statement today, Apple said the call history syncing is intentional. Security researcher Jonathan Zdziarski told The Intercept he "doesn't think Apple is doing anything nefarious in syncing the call logs," which are very clearly stored for the purposes of Continuity and being able to access your call history across Apple devices, even after restoring from a backup. Nevertheless, Zdziarski emphasized the need for Apple to be clear to users about the data being collected and stored on iCloud. As noted by The Intercept, Apple does not indicate call logs are synced even with iCloud Backup disabled, while FaceTime call logs appear to be stored longer than Apple's claim of up to 30 days. iCloud users concerned about their accounts being compromised should set a strong password and enable two-step verification. if you're that paranoid about syncing call logs, you'd disable icloud drive anyways. elcomsoft just wants the attention. This has been public knowledge for years. My call logs show up on my iPad since I think iCloud Drive launched. This couldn't be more of a non-story. Oh come on - so much Apple hate lately. People seem to just be eager to try and start the next circle jerk. I disagree. You can disable the syncing of other data (such as Safari browsing history and bookmarks) selectively in the iCloud Drive settings. Why not have the same option for the call history without having to disable everything? Also, keep in mind that, while maybe your personal calls are not very interesting, there are people whose call histories may be genuinely sensitive, such as lawyers, journalists, policital activists etc. You can't just dismiss this all as paranoia. In fairness, if it were google, we'd all know exactly what they were doing with it. While nothing new, I thought it was a bug and have reported it in the past to Apple. Just make a slider for it in the preferences, just like syncing notes for example.